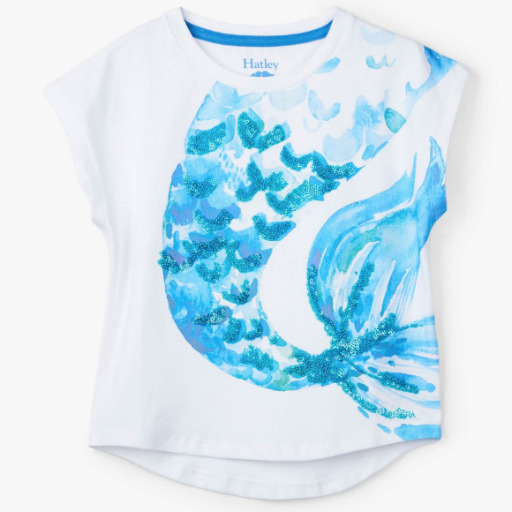 Her favourite sea creatures will accompany her everywhere she goes in this vibrant mermaid tales graphic tee! With any of our shorts, skirts or leggings, she'll be ready for each and every beach adventure! Features: High-low hem shaping Sequin details Machine washable 95% cotton, 5% spandex.